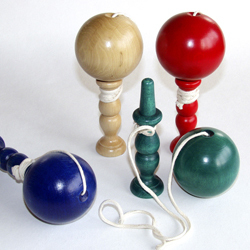 Made in France, where this is called a 'Bilboquet'. The king of games. A game for kings. It is said that King Louis XIV loved this game.